Katy Crossing is a great little neighborhood located off of Weir Rd (971), near the San Gabriel park and the baseball fields. Amenities include a park and playground. It is super close to the VFW hall, the park, and schools. You can walk down to San Gabriel park, or have a five minute ride into downtown Georgetown. Residents can also drive 10 minutes and be shopping in downtown Georgetown, Wolf Ranch, IKEA, or the Round Rock Outlet Malls as well. Some residents work locally, however, a lot of them also work in Austin, Cedar Park, Round Rock, Jarrell, Salado, and Pflugerville since it is a short commute. Major employers include the City of Georgetown, TECO-Westinghouse, Hewlett Chevrolet, and Southwestern University. 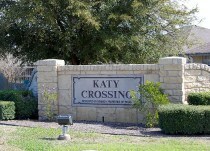 Homes for sale in Katy Crossing typically run from the mid $100's - low $200's. Pat Cooper elementary, Charles Forbes middle, and East View high school.